Physical Resources will conduct its annual campus electrical shutdown April 27 and 28. The shutdown runs 7 a.m. to 7 p.m. each day. This shutdown will affect all non-essential power, including normal building lighting and most electrical outlets. Essential and emergency power and lighting will not be affected. 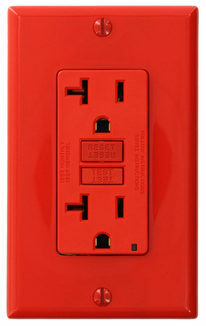 Essential electrical outlets can be identified by their red casing. On April 27, the shutdown will affect the entire campus except for OVC. On April 28, the shutdown will affect only OVC. For further information please contact Rick LeGault, senior construction coordinator, Physical Resources, at Ext. 52015 or rick@pr.uoguelph.ca.